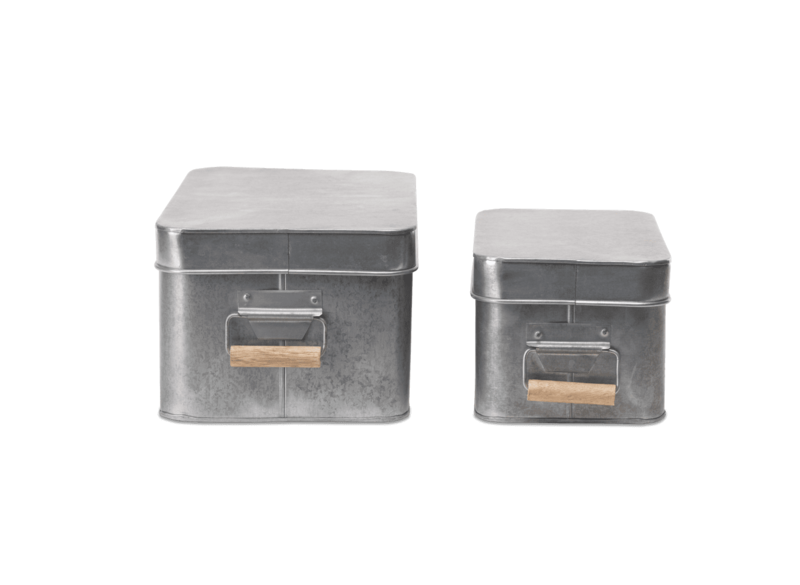 Morro Box Set of 2. 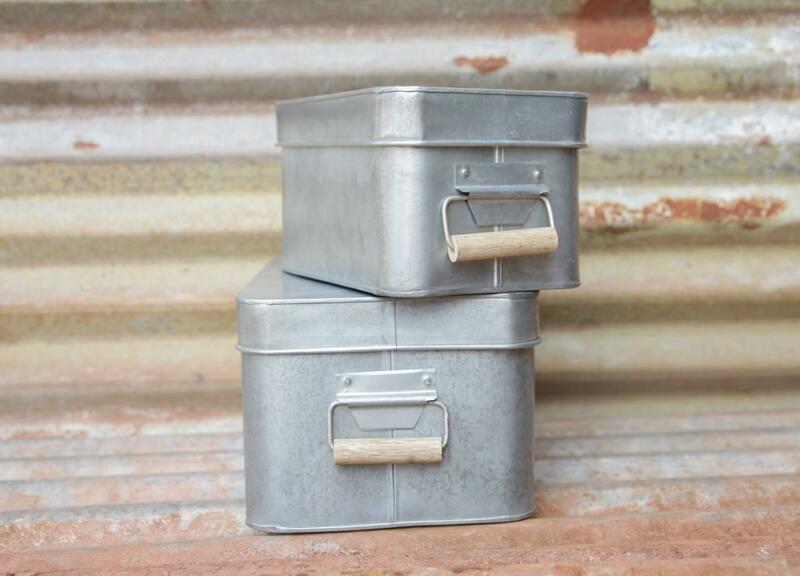 These stylish Morro Boxes have a utilitarian look and feel. 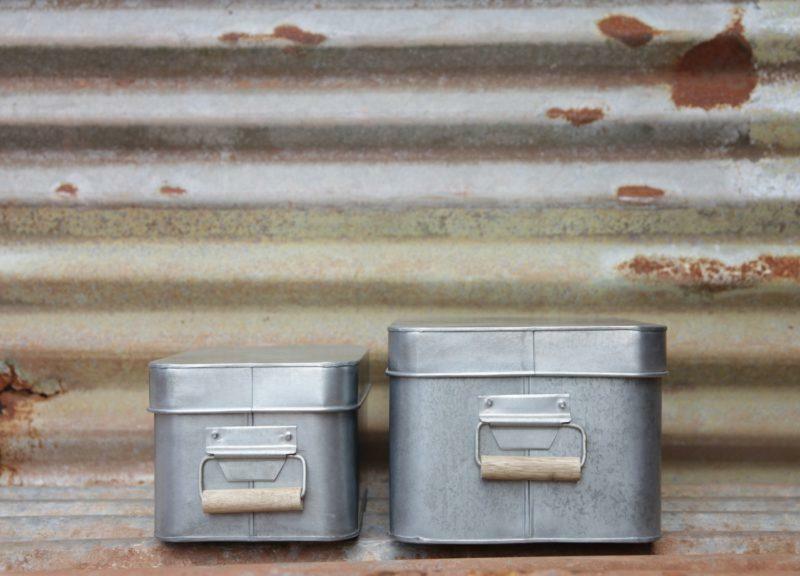 Each one is handmade from durable, galvanised steel and features a beautiful sustainable mango wood handle.